Playing cards were first used in China around the 9th century and what started as a family game played with hand printed leaves and wood, soon became an international phenomenon. Playing cards soon became popular in Japan, India and they spread rapidly in the western countries like Spain, Italy and Germany. Over the years, playing cards have evolved. The earliest playing cards were mostly hand painted and were often decorated with precious stones for the royalties. However, soon standard playing cards were being manufactured to enable the general public to play card games. Some important playing card manufacturers over the years have contributed to the evolution of playing cards over the centuries. Almost two thirds of all the playing cards that were manufactured in England were made by Charles Goodall &amp; Sons. Since 1820, the company has been one of the most well known card manufacturing companies in Europe. 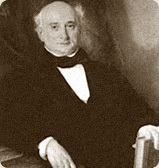 Thomas de la Rue was born in 1793 in Guernsey. He was a printer who had humble beginnings and founded the famous De La Rue Company which is considered to be the biggest papermaker and security printer in the world today. Alf Cooke company had been first founded by Alf Cooke in 1866 in Leeds as a printing company. The company had first produced their playing cards as “British Playing Cards” during the 1920s and was known for their unusual designs for the court cards and their variety of packs. 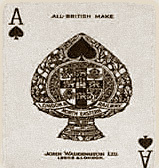 The Waddington's company was founded in Leeds by John Waddington and became an important playing cards and board game manufacturing company in the UK in the 1920s.